It is finally summer! And while everyone seems to worry about dropping those last 5 pounds I only worry about Bailey’s Ice Cream! Or more specifically about whether or not it’s okay to devour a pint of boozy ice cream at 11 am. I eventually came to the conclusion that it is okay! Yet I might not be the most responsible drinker unbiased critic considering I may or may not have had a Bailey’s Latte at 6 am on a workday once. No worries I didn’t drive that day. I blame the damn Bailey’s. It gets me every single time! Let’s talk about ‘the beach body’ and ice cream for a second. In the interest of full disclosure I need to say that this is not going to be a ‘healthy recipe’. Assuming that we apply a strict assessment of ‘healthy’ in the sense of good for your body! Nutritionists may even argue that the contrary is the case. Well I am no one to tell an expert they were wrong. What I will argue – and I have a strong opinion about that – is that this kind of indulgence is very healthy for your soul. And while I am a strong believer that a healthy body is THE thing to strive for I believe equally strong that a healthy body is nothing without a healthy soul. These two suckers kinda belong together. What does that have to do with a beach body? A lot if you ask me. It’s this time of the year where practically every industry goes gaga about looking perfect at the beach. The examples are endless. And endlessly sad if you ask me. When I think of summer and beach I have a different vision in mind. I see myself jumping up and down in the water, getting chased (and most probably caught) by the waves. I see me a bit burned by too much sun (because I am pale AF) and I see myself trying to shower the salt from my hair and sand from my toes. And without a question I see myself with an ice cream cone in my hand at any given opportunity! Give or take 5 pounds, in my book you can’t look perfect at the beach without some ice cream in your hand and a grin on your face! Sadly I don’t live by the beach but when I can’t have the beach feeling here I still can eat a holy lot of ice cream. And thanks to having an ice cream maker I can have this delicious, rich and creamy Bailey’s Ice Cream in less than one hour. Well that definitely puts a grin on my face! If you don’t have an ice cream maker, no worries, you still can make this recipe without too much hassle. All you need is a bit more patience. This Bailey’s Ice Cream is just perfect for the (adult) summer indulgence. It’s a bit boozy as initially mentioned. 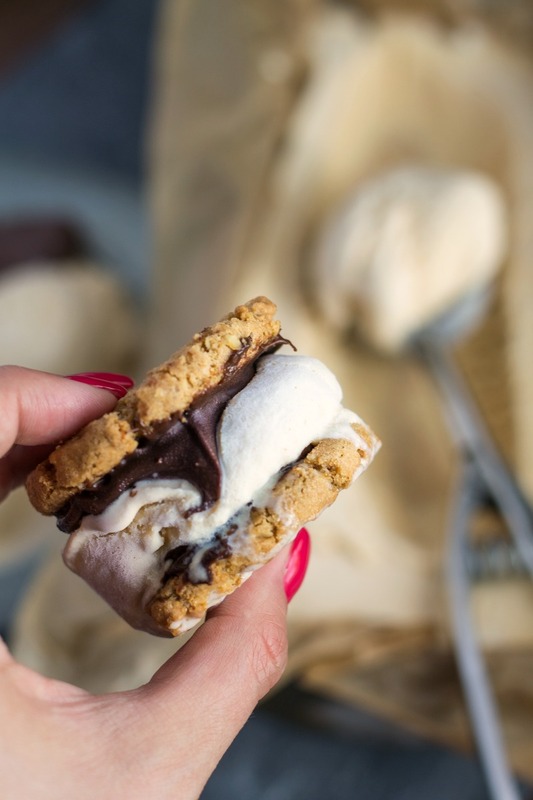 Make it a Nutella Cookie Ice Cream Sandwich for the ultimate summer treat! It takes literally not more than two minutes to make 4 ice cream sandwiches. It’s worth it. 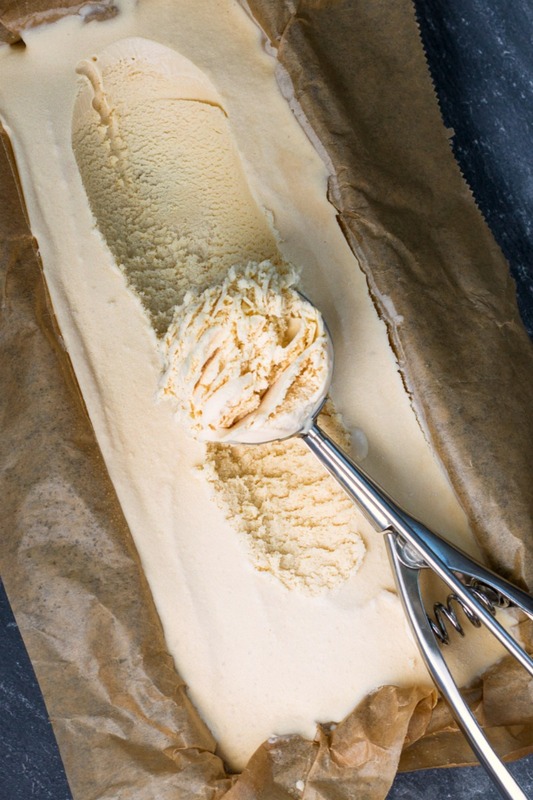 A creamy and rich Bailey's Ice Cream that is perfect for the (adult) summer indulgence. 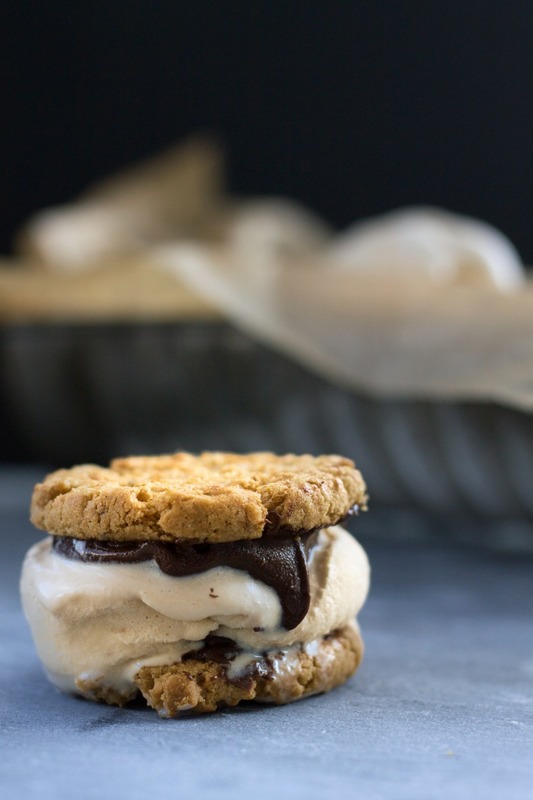 Make it a Nutella Cookie Ice Cream sandwich for the ultimate summer treat! In a large bowl combine all ingredients and mix with a mixer until everything is well combined for about 2 min. If you have an ice cream maker - perfect! Transfer the mass to your ice cream maker and proceed following the instructions of your ice cream maker. Sometimes the ice cream from the ice cream maker is not solid enough for making ice cream sandwiches. Just transfer it into a freezer friendly bowl and freeze in the freezer for another 30 min until solid. Proceed as described above. And as ist is summer it’s time to go to Narnia again! Actually I am going for this weekend and also for next weekend. I plan to eat my body weight in food and I also plan to snapchat the hell out of the whole Narnia extravaganza. I am training for the summer vacation! With the food and the snapchat thing. If you don’t follow me on snapchat yet you should definitely start (snapchat: callme-juli) because hello, I am going to Narnia this weekend. How cool is that??? Before I am zoning out for today I just wanted to say that I personally see nothing wrong in wanting to drop a few pounds in order to getting healthy or making yourself feel better. I just have a massive problem with denying yourself a little treat just for looking good at the beach. Have you ever made ice cream yourself? Is ice cream a summer essential? 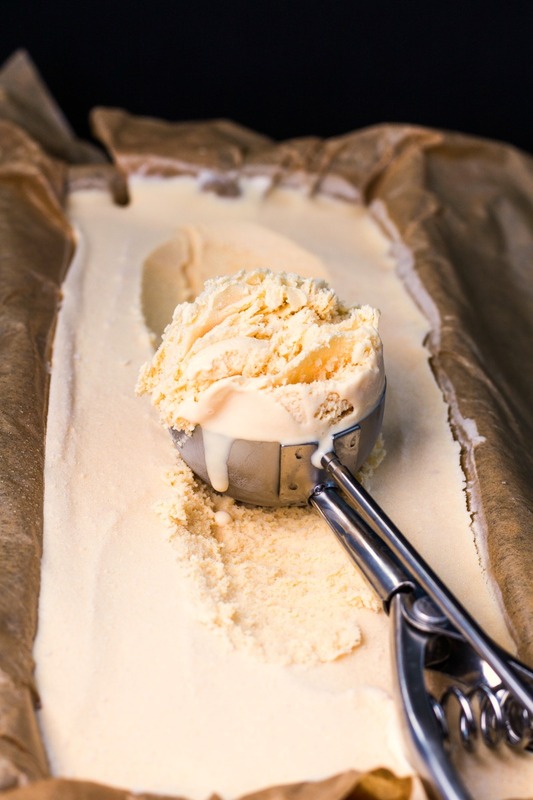 I am saving this to make in a few months time (when it’s warmer) – I don’t have an ice cream maker but I believe it is well worth stirring for 4 hours to make this. It looks like heaven! I am all about food for the soul – this would nourish my soul inside and out and therefore I call it very healthy! Loved your narnia pics! And oh the food the food! Dear Sweet Baby Jesus, this looks amazing. I am all about foods which nourish the body AND the soul.